The Light House Apartments in Melbourne, Australia, a joint project between Hengyi and Sixth Grange, is a 500,000 square-foot mixed use development that was designed by Elenberg Fraser. 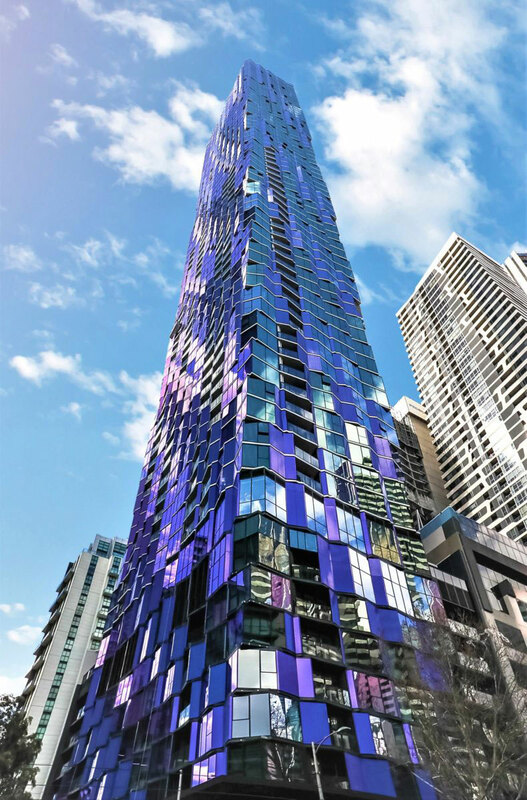 The highly-anticipated structure, which was recently completed, gained much attention for its variety of high-tech amenities which include a car parking stacker system, pool, outdoor exercise terrace, and contemporary interior design, fully equipped with breathtaking views of downtown Melbourne. 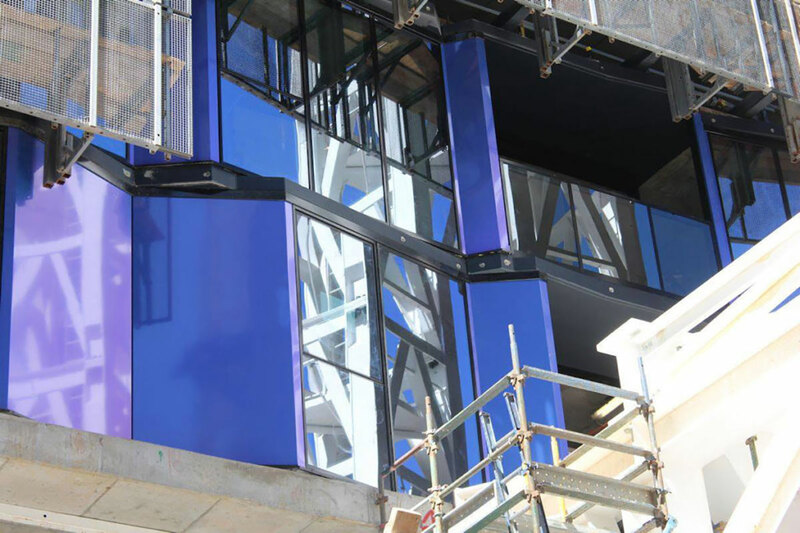 The kaleidoscope-like structure was enveloped in Alucobond PLUS aluminum composite material in a custom Spectra finish. 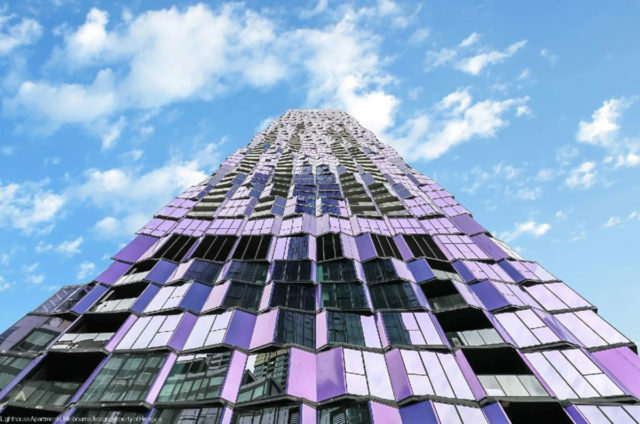 Color-shifting ACM panels project different shades of purple, producing a dazzling effect, further enhancing the building’s kaleidoscopic image. The coating system used to create such a unique aesthetic employ Lumiflon FEVE resin. Architectural surfaces that utilize Lumiflon FEVE resin technology provide a plethora of benefits. FEVE-based coatings offer durability and longevity, superior color and gloss retention in addition to weatherability, which prevents UV radiation, water, and salt from compromising the structural integrity of any coating. Because of the high performance coating system, the Light House Apartments will remain in pristine condition for decades.